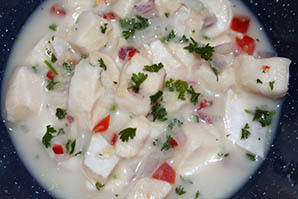 Ceviche is a dish of fresh fish marinated and cured in citrus juice, and is perfect for the summer. It is a popular dish in the coastal regions of South & Central America. Ron and I did a fabulous Mexican Food Tour when we were in Mexico City a couple of years ago. One of the best things we ate was their version of Ceviche, served on toasted tortilla. It was delicious, refreshing and so tasty. This is a great meal for a hot summer’s day either for lunch, or dinner. • Use the freshest fish possible. It should be a firm white-fleshed fish. 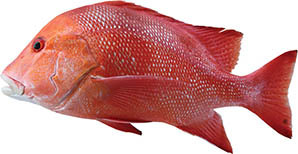 • Use the right type of fish - In Mexico red snapper is traditionally used for ceviche but most firm, white-fleshed fish will do. 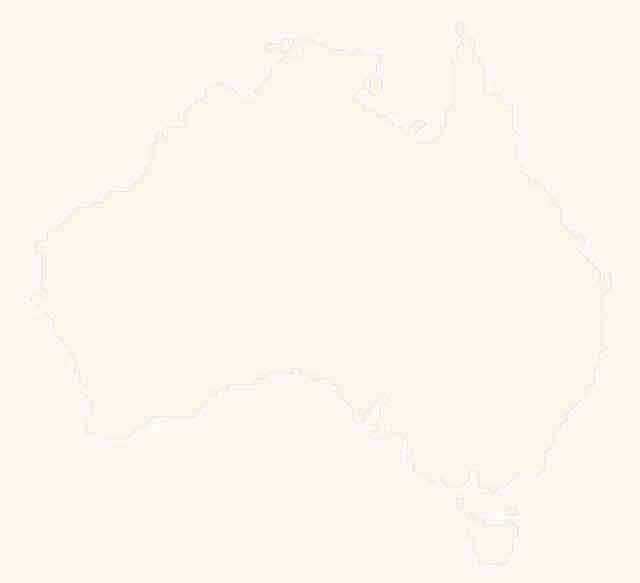 In Australia fish such as Ling, Blue-eye Trevalla, Coral Trout, Emperors, Barramundi, Sea bass and Mahi Mahi are just some fish available with firm, white flesh. • Keep the fish cold. • Remove the blood line from the fish. • Remove all the skin and bones. • Cut other ingredients evenly and in small pieces. • Don’t overmarinate the fish!! When the fish starts to turn opaque it’s ready to mix with the other ingredients. Pour the lime/lemon juice over the fish and mix gently to combine. Cover with plastic wrap and chill in the refrigerator until the fish is white throughout, about 25 to 30 minutes. Remove from the refrigerator and drain off the juice, very gently squeezing the fish with your hands to remove the juice. Add the prepared tomato, cucumber, onion, and coriander. Add the hot sauce and chile, if using. Mix gently to combine all the ingredients. Spread the grilled tostadas with mayonnaise (if using) and top with the ceviche. Arrange the avocado slices on top of the ceviche and serve immediately with lime wedges alongside. If you want to be very traditional, then try and get corn tortillas, otherwise use soft tortillas which are readily available in your supermarket. Heat on your BBQ plate, or in a pan, until slightly brown and a little toasty. Viv’s Hints: have your fish partially frozen to make it easier to dice. You could also add some cooked prawns to the finished dish and mix through just before serving. It’s worth taking the time to remove the seeds from the tomatoes, otherwise you end up with too much liquid from the tomatoes in the dish. *The amount of cucumber needed will will depend on the size of cucumber used, ie if using a long continental cucumber you’d only need maybe a 1/4), however if using a Lebanese cucumber you may use ½ and you won’t need to peel it. My dear and wonderful friend Trishy gave me this recipe way back in 2008. 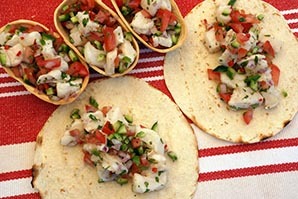 Similar to the Mexican Style Ceviche, this recipe is the Fijian equivalent. While similar, it is slightly different in flavour with the very Fijian addition of coconut milk. Another great way to enjoy delicious fresh fish on a hot summer's day and which is also very refreshing and light. Cut the fish fillets into 1 cm cubes and place in a glass or ceramic bowl. Pour the lemon and lime juices over the fish and allow to marinate for 4 hours, stirring occasionally with a wooden spoon (avoid metal, which will react with the acid in the marinade). Add the remaining ingredients and gently combine. Serve as an pre-dinner nibble or starter. Garnish with a little extra coriander or parsley chopped finely before serving.